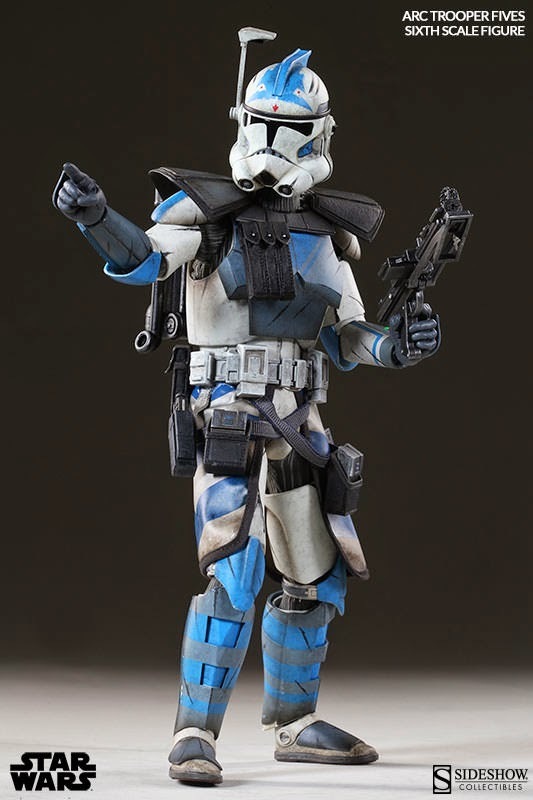 Don't fall back! Push forward!" 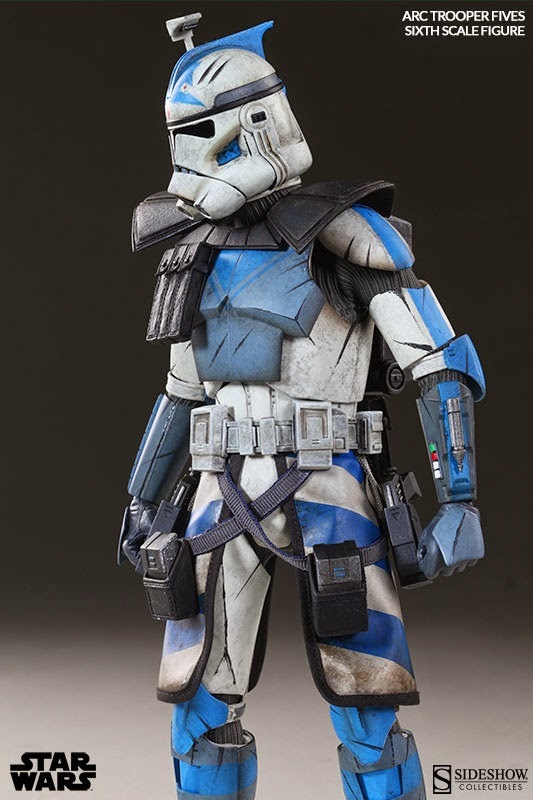 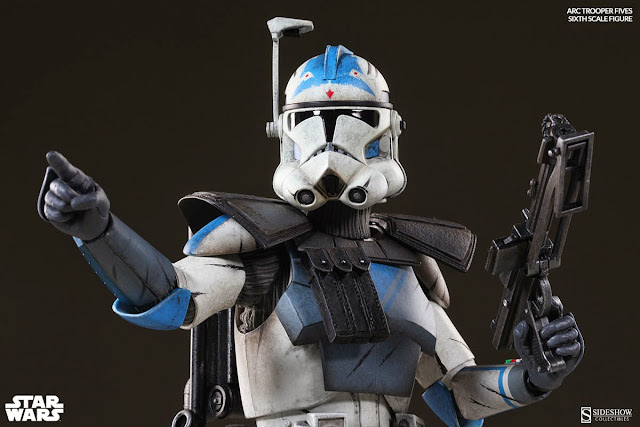 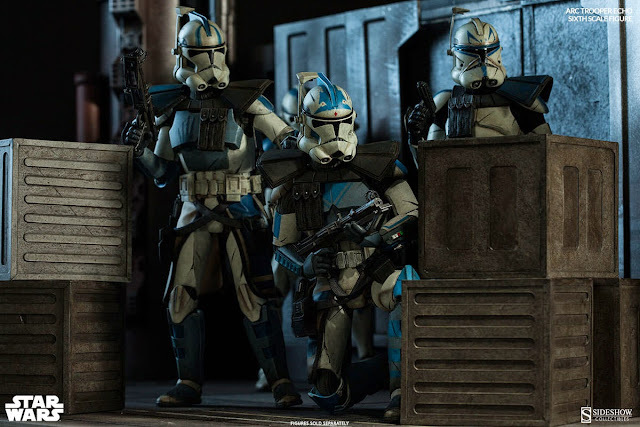 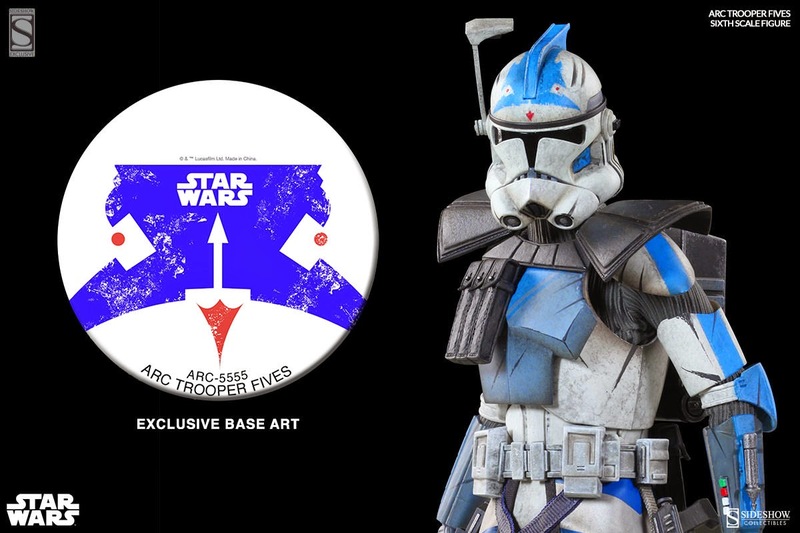 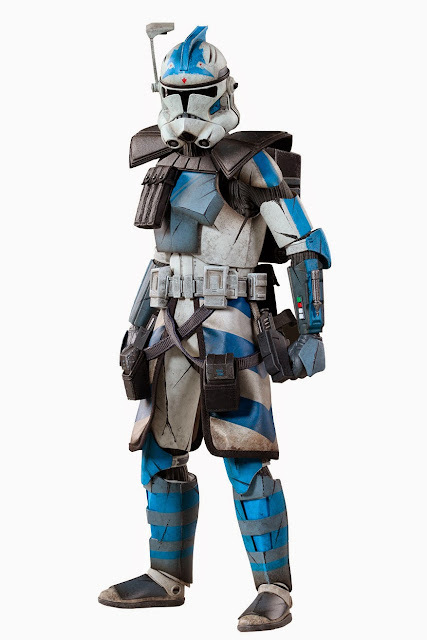 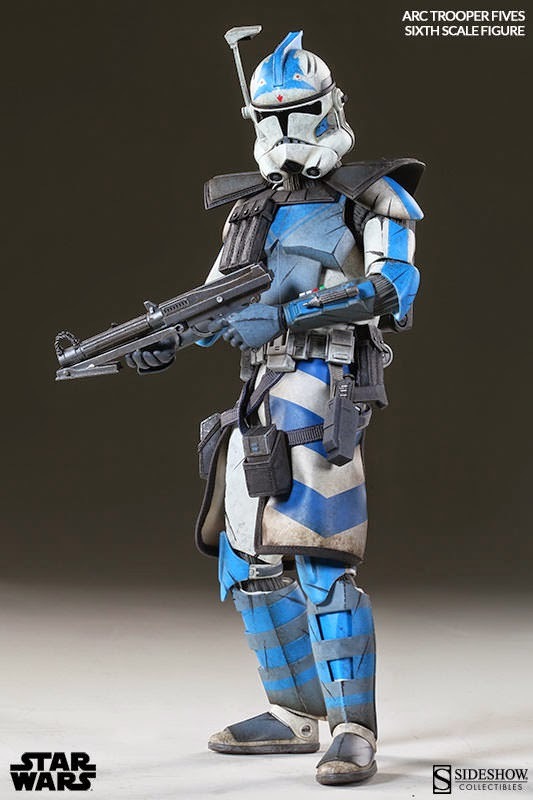 From the award-winning animated series Star Wars: The Clone Wars, Sideshow Collectibles is proud to present the ARC Clone Trooper: Fives Phase II Armor Sixth Scale Figure from our Militaries of Star Wars collection. Preferring the nickname ‘Fives,’ CT-27-5555 trained with Domino Squad on Kamino, only barely making it past initiation. 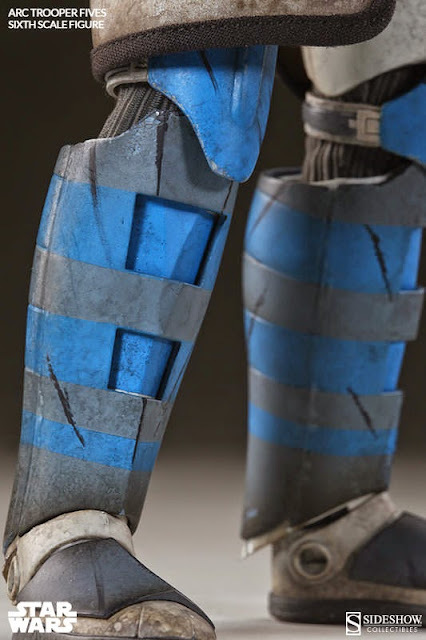 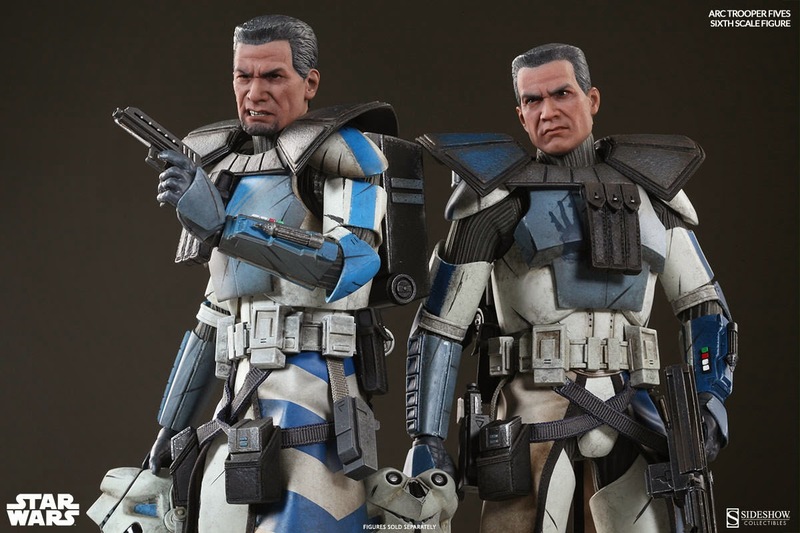 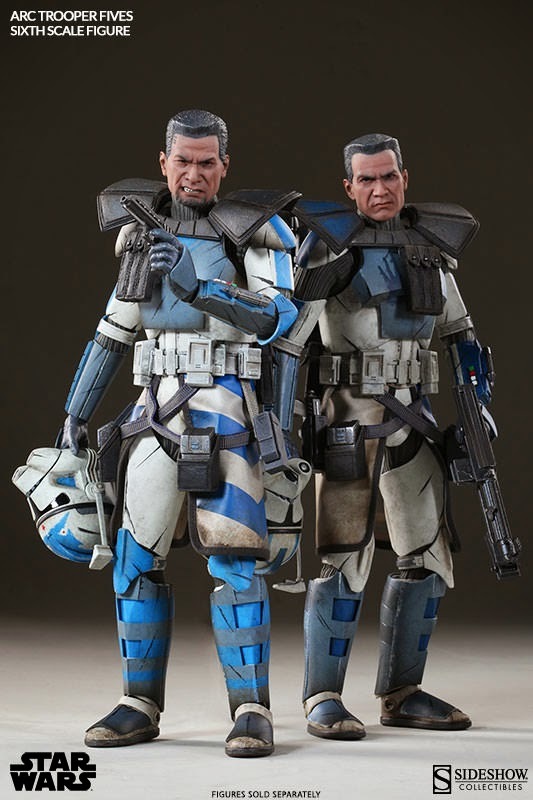 Transferred alongside his fellow squadmate, Echo, to the 501st Legion under the command of Captain Rex, the two were later promoted to prestigious ARC trooper status after bravely defending Kamino from Separatist invaders. 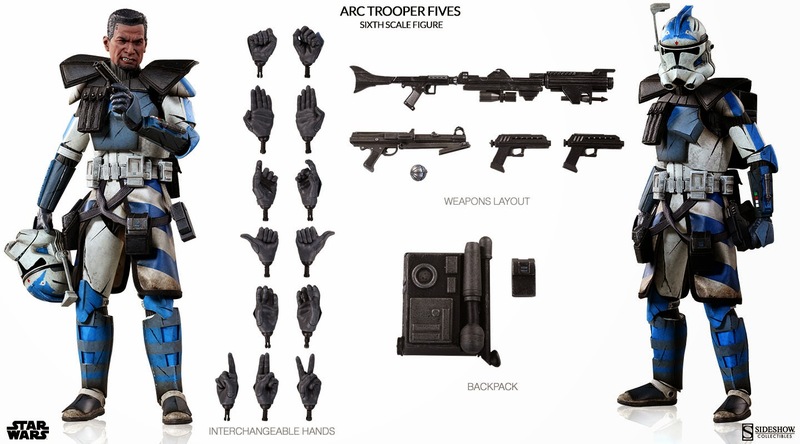 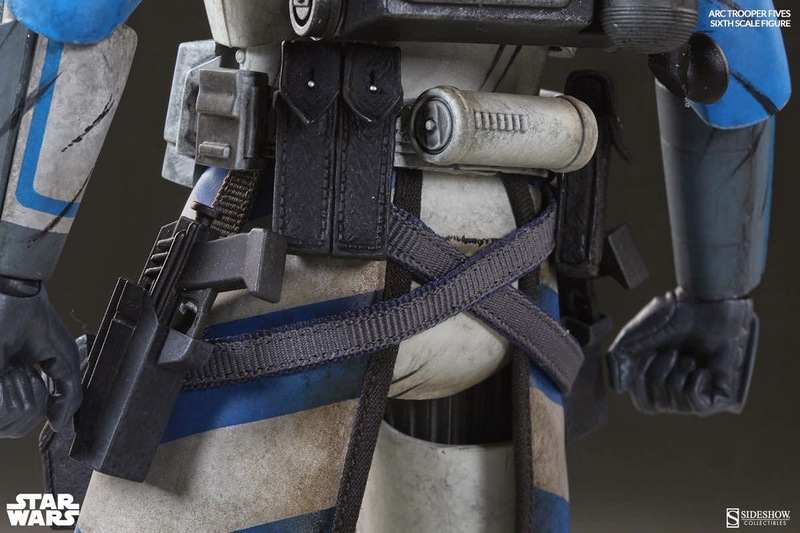 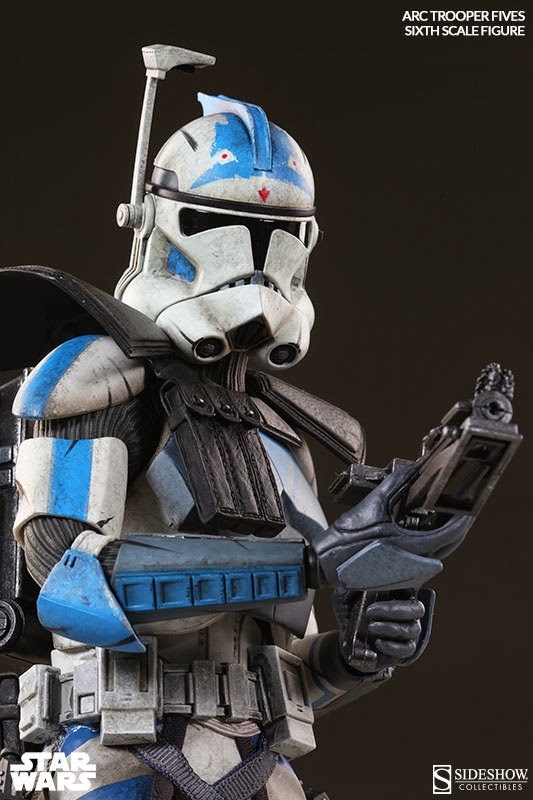 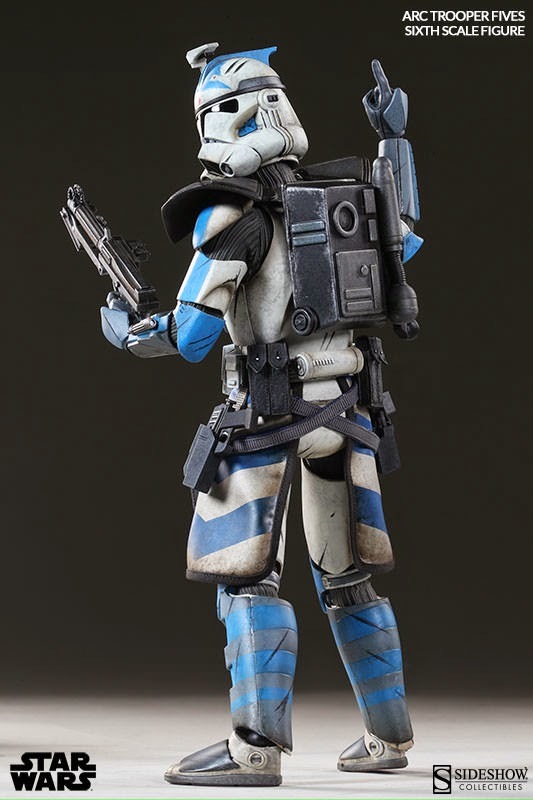 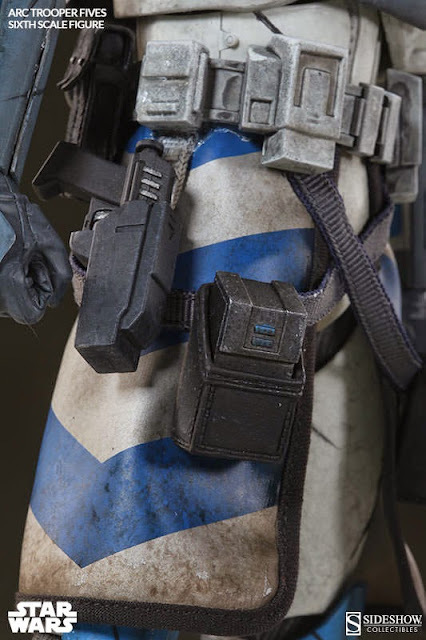 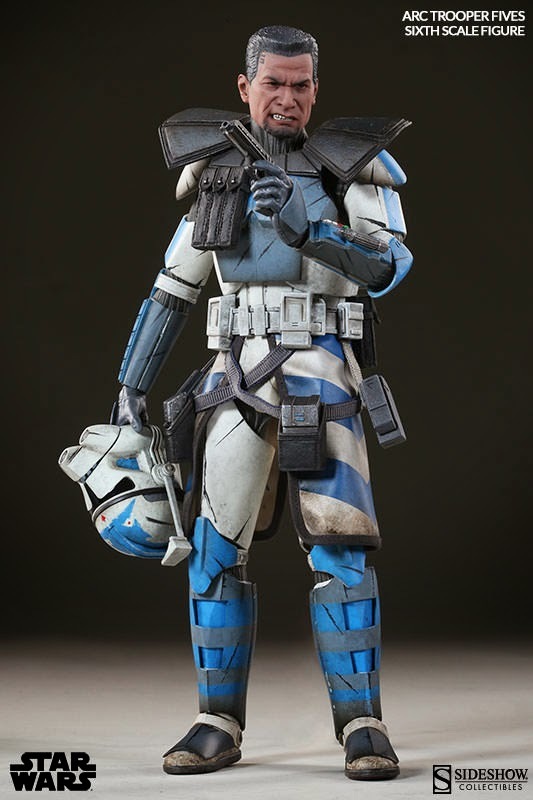 Featuring a newly designed portrait with a true-grit expression and distinguishing ‘5’ tattoo, the heroic Republic soldier is fully equipped with customized ARC trooper armor bearing markings to honor fallen comrades, a complete arsenal of weapons, and full range of articulation to create action-packed displays. 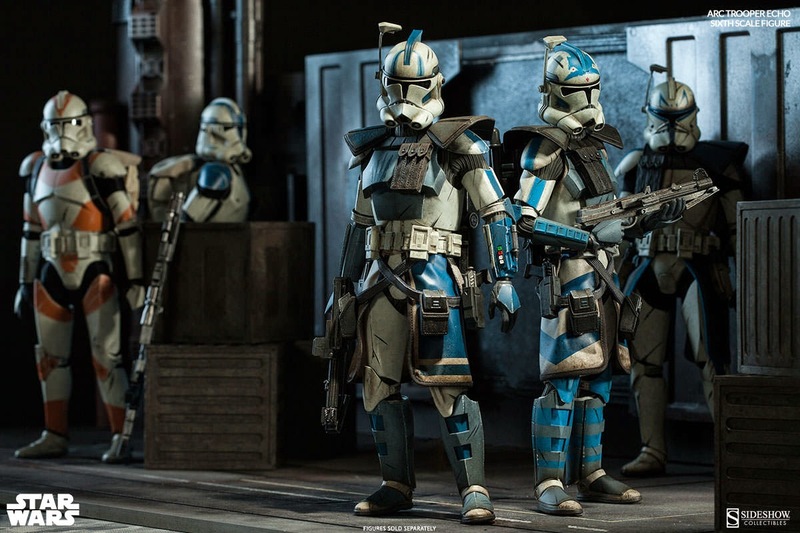 As an intergalactic conflict rages on, a massive army of Clone Troopers fights in service of the Republic. Build your army! 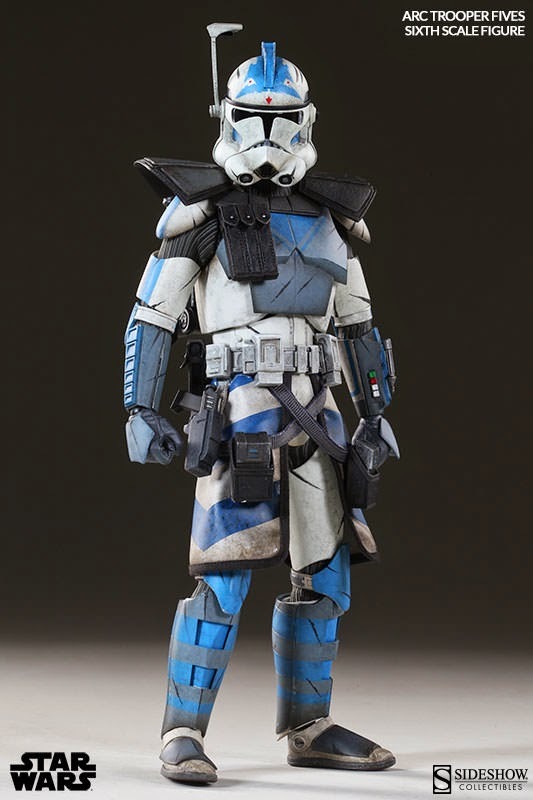 Order this from Sideshow Collectibles NOW!! !